With 33 years of financial services and investment experience, I am actively focused on providing comprehensive wealth management solutions to individuals and families, estates & trusts, and charitable and business organizations. As a Portfolio Manager with TD Wealth Private Investment Counsel, I provide a high level of personalized service for my clients. I work with a talented group of colleagues and have complete access to their expertise and the resources of the TD Wealth and TD Bank Group teams. By using the experience of our TD Wealth Team we help clients meet their financial goals by focusing on the four pillars of Building Net Worth, Implementing Tax Efficient Strategies, Protecting What Matters and Leaving a Legacy. I hold the Chartered Investment Manager designation and a Bachelor of Commerce degree. Outside work, I'm involved with the Stewardship Committee at St Andrews Presbyterian Church. 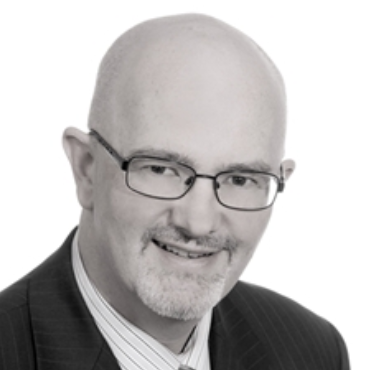 Shawn Woodley is an Associate for TD Wealth Private Investment Counsel in Atlantic Canada. He supports the regions Portfolio Managers with financial planning, portfolio management and marketing. Shawn began his financial services career in a Client Relations role with a Toronto-based mutual fund firm. During this time, Shawn quickly established himself as one of the top performers. He returned to Halifax in 2007 for a leadership role with a local company outside of the industry but his passion was still with the investment industry. In 2011, Shawn joined a competing bank as a Portfolio Assistant and he worked his way up to become an Portfolio Associate. Along the way he had won several awards for his outstanding dedication and service to his clients. In 2018, Shawn joined TD Wealth Private Investment Counsel. Shawn is an avid hockey player and fan who regularly participates in the Hockey Heroes to support the Heart and Stroke Foundation. He lives with his family in Eastern Passage, NS. Shawn graduated in 2005 from the Dalhousie University Commerce Program with a major in Finance and earned his CIM® designation in 2015. Catherine Byrne joined predecessor company, Nova Scotia Trust in 1972 and has accumulated 45 years' experience in the securities and investment business. In her role Cathy acts as a secondary contact for the Portfolio Managers assisting with the preparation of customer portfolio reviews, handling clients cash transfers and remittance requests, and administrative account duties.